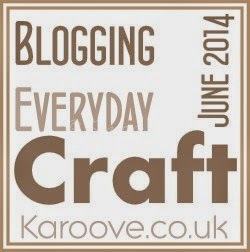 My craft is mainly card making, there are times when I will branch into scrapbooking, but this is far and few between and I haven't made a scrapbook page or created a full scrapbook for a while. But yes, back to the main craft - I am mainly a card maker, so I try and make as many cards as I can (as much as procrastination can take over in between, of course!) throughout the year. This was a Birthday Card I made for a former work colleague and friend. 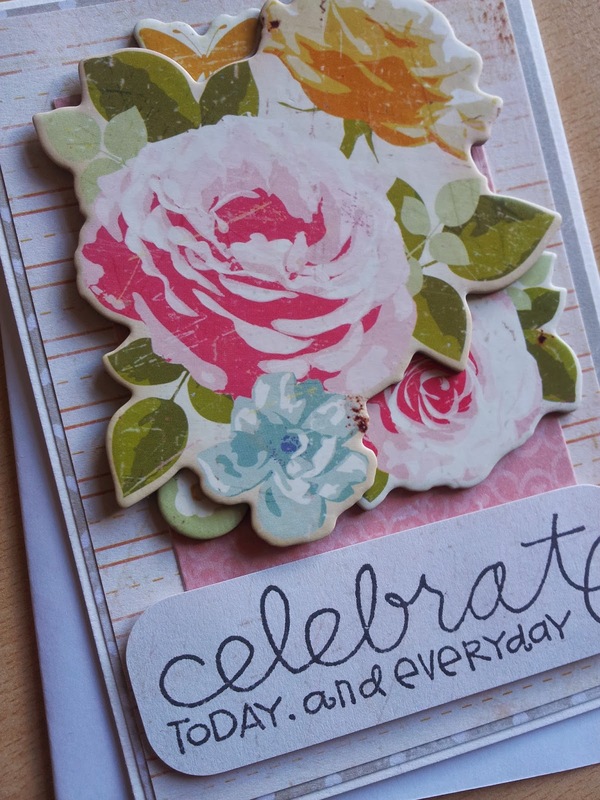 It features these great chipboard flowers from the Pretty Party collection by Crate Paper. The patterned paper used for the background is a mixture of two pads from Crate Paper as well. The sentiment is Pretty Phrases from Paper Smooches. Lovely card Mel, the chipboard flowers look lovely! 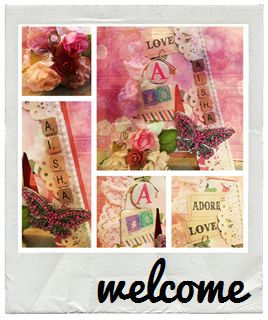 Love the sentiment stamp....think I need to go check out Paper Smooches, it looks fab! Lovely card huni... I love scrapbooking as well and have made a few full album's but I am still no were near caught up, I am trying to do a "our life" scrapbook for me and hubby from our first date to present, it is taking a while, I found a great album it is a "d-ring" album and it is leather, I didn't think I would like it as I thought it would look to much like a lever arch folder, but actually it is so easy to use, as you can swap the pages around with ease if you need to and it gives you so much more depth then a "normal" scrapbook album. Hope this helps a little - there are so many different types of albums out there now.